Having made a start on the bonnet scoop, I decided I should also get the latches fixed in place prior to fixing the scoop. I figured that by doing this first I had fixed datum points from which to work. Marking the position of the latch is pretty straightforward, and I followed the instructions on the build CD, marking the centre lines as directed. 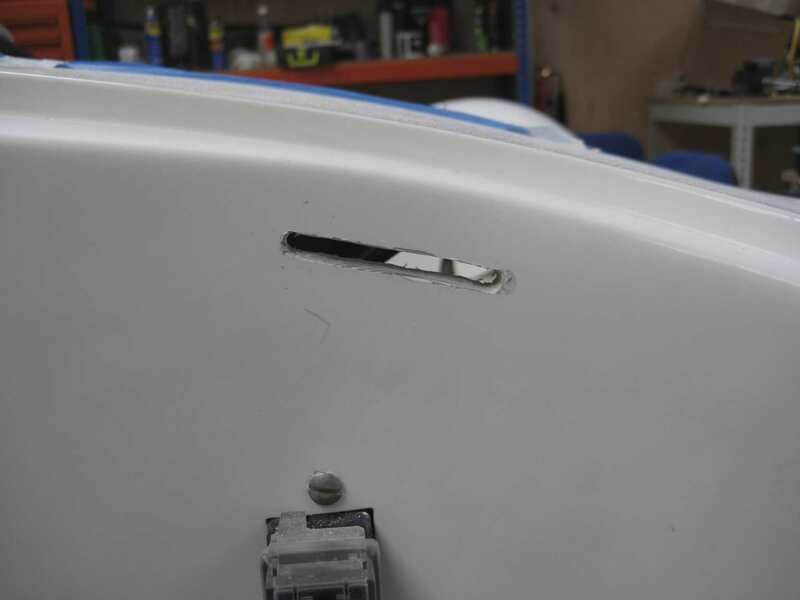 The latch itself has two lugs to prevent it from turning within the bonnet as well as the two fixing holes. Now drilling the fixing holes was easy as the position was simply taken from the mounting gasket. I then used the Dremel to cut slots for the lugs but it seemed no mater how I did this the damn latch would still not fit. Eventually after much drilling, cutting and offered up the latches I had a hole in the bonnet that worked albeit not a very pretty hole. But once the latch was fitted in place it looked fine. Now that the latches were in place I needed to cut the slots in the bulkhead to accept the locking mechanism. Marking the position of these slots isn't explained in the build CD and I didn't find much advice in any of the other blogs I'm following so I was running blind on this one. 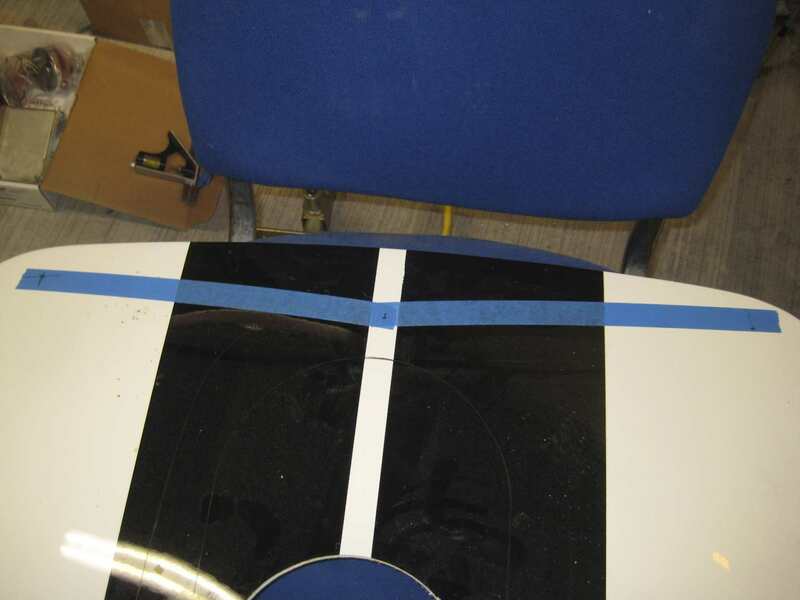 First off I decided to mark the centre of the slot relevant to the centre line of the car (made easier by the fact I have twin bonnet strips moulded in). 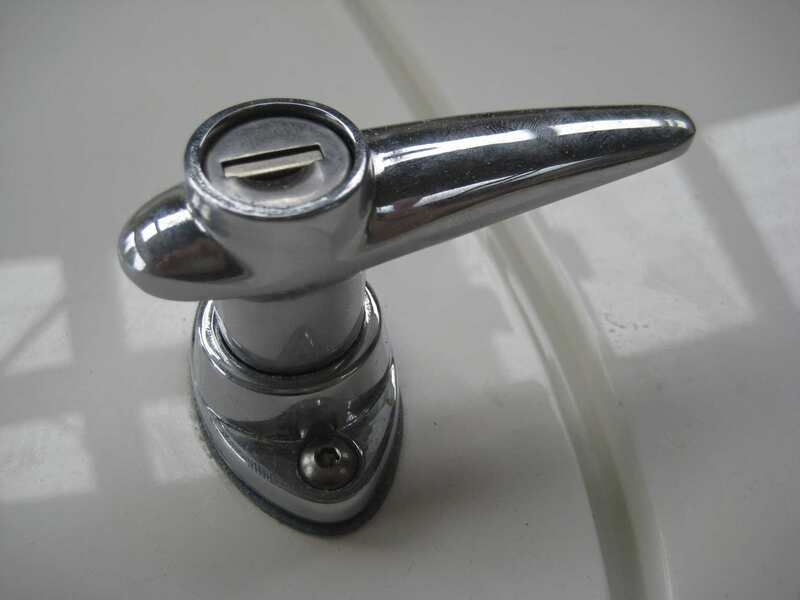 Effectively this is in the same position as the centre of the latch. Then I marked a line from here to join the two centre lines together. This then gave me a position at the top of the bulkhead from which I could mark a line down vertically using a spirit level. I then just needed to decide on a suitable distance down from the top of the scuttle. I decided it would be best to leave this as short as possible thus reducing the amount of flex in the latch shafts. 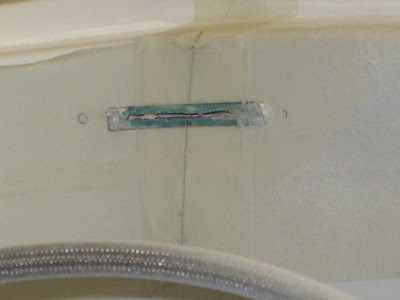 Fortunately, at this point I also realised that the slots needed to be cut parallel to the top of the scuttle and not horizontal. In order to get the slot the right size I put the escutcheon in place and marked around this. 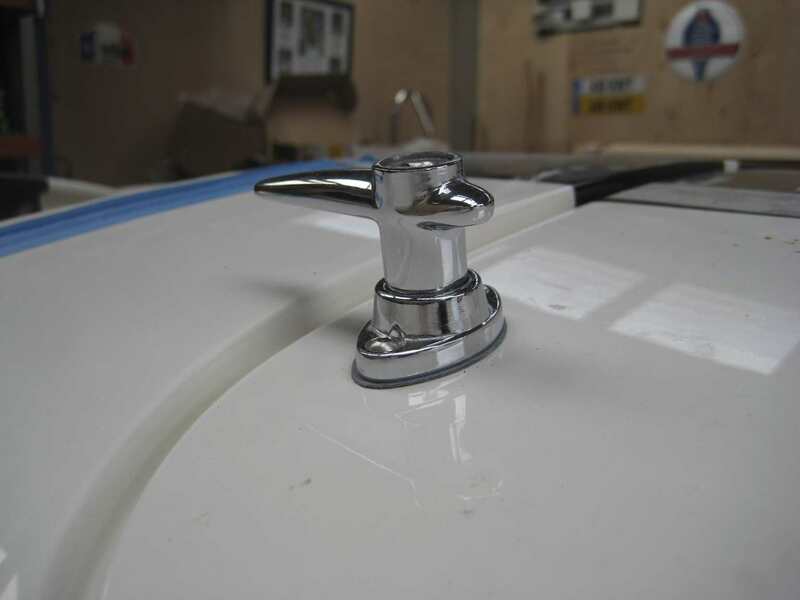 Knowing I could then open the slot up and reposition the escutcheon to suit at a later date. Once the slot was finished I was then able to close the latch and establish how much adjustment would be required to get the bonnet to sit at the same height as the scuttle.